From the Notebook: Top 10 Series I NEED to Finish! So, last week’s video was made of some rather unpopular opinions, as I discussed the Top 10 series I would never finish. On the heels of that, I boomeranged back the other way this week with a MUCH more positive (but no less expressive) video about the top 10 series I could have finished … but haven’t. Ergo, I need to get on finishing these series RIGHT THE HELL NOW. Ahem. Anyways, enjoy! Betwixt the Books is back with another weekly wrap up, plus what we read this week! As an added bonus, I look like a very sad and botoxed chipmunk, since I just got my wisdom teeth out. This is a sight not to be missed, Michaela says. I say that you shouldn’t miss this video even though I look like … this. Anyways, without further ado! 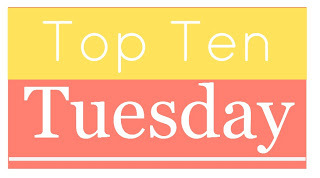 Worth It Wednesdays is a weekly post where I feature my favorite YA titles. Find out more about it here! Ana is new. For thousands of years in Range, millions of souls have been reincarnated over and over, keeping their memories and experiences from previous lifetimes. When Ana was born, another soul vanished, and no one knows why. Even Ana’s own mother think’s she’s a nosoul, an omen of worse things to come, and has kept her away from society. To escape her seclusion and learn whether she’ll be reincarnated, Ana travels to the city of Heart, but its citizens are afraid of what her presence means. When dragons and sylph attack the city, is Ana to blame? Sam believes Ana’s new soul is good and worthwhile. When he stands up for her, their relationship blooms. But can he love someone who may live only once, and will Ana’s enemies–human and creature alike–let them be together? Ana needs to uncover the mistake that gave her someone else’s life, but will her quest threaten the peace of Heart and destroy the promise of reincarnation for all? Why it’s worth it: This book is just as beautiful as it’s cover. That’s the simple answer. The long answer involves the characters, the plot and the ideas wrap into this book that makes it one, big, beautiful package. The main character, Ana, is a bit cutesy, but I love her all the same. Meadows walks a fine line, having to make Ana sound younger than all the older souls, but it is rarely annoying. In fact, it becomes one of her assets. The world around her is also wonderful, involving mythical creatures like dragons and a god who might not really be a god. There’s a lot going on in this book. On top of that, Meadows works in a lot of great ideas about what loves is and what it means, as well as the dangers and fears that surround change and newness in peoples’ lives. There’s also no love triangle. Instead, Meadows gives us a romance that begins as a friendship and then grows into something more–something more that still experiences bumps and challenges along the way. It’s an actual evolution of a relationship, rather than something that just appears overnight. Is this book perfect? No. It’s a debut, after all. But it’s pretty damn good all the same. I reviewed Incarnate, as well as Asunder, on my blog, if you want a more in depth opinion! Alright, folks, guess I got the Valentines themed one. This is amusing, because one blogger on this site is bitter about Valentines this year and one is not and GUESS WHO’S DOING THIS LIST! But no, actually, this list is still going to be really hard to put together. Gosh. Uh. Well, here’s some in no particular order! 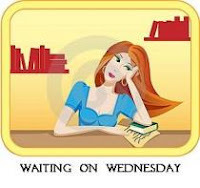 Waiting on Wednesday is hosted by Breaking the Spine! Why? 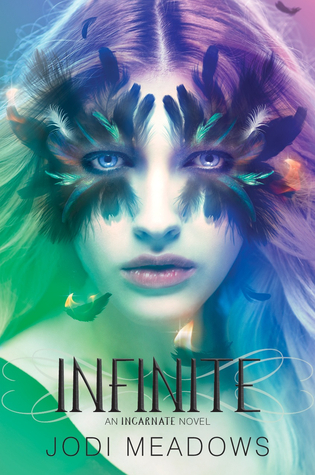 : If you missed my reviews of the first two books, Incarnate and Asunder, then you MISSED OUT. Jodi is writing one of the most gorgeous, real romances I’ve seen in a while and I cannot wait to see how the story ends! This is a fairly tough list for me, but I think I managed to cull it down to 10 books I’m happy with. These books are in no particular order, except that the last 3 or so didn’t get a full 5 star rating on Goodreads.